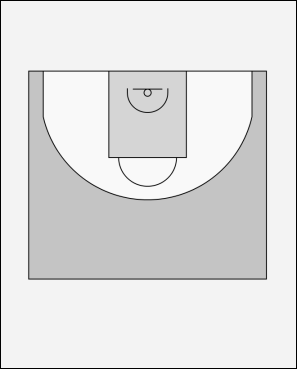 First 4 sets a back screen for 2 and steps outside the 3-point area. If the defense is sleeping (happens ...) pass from 1 to 2. The moment 2 passes 4, 3 uses the screen of 5 and curls around 5 for the inside pass. When 4 receives the ball 5 sets a down screen for 2 who gets the ball from 4 at the top. 5 sets a side pick on 2 and plays a pick and roll.